Native River is set to be a lot more active this season with his campaign due to begin in the Betfair Chase at Haydock on November 24. Colin Tizzard’s eight-year-old only had two runs last term but he won both, including famously in the Gold Cup at Cheltenham in a terrific tussle with Nicky Henderson’s Might Bite. The two are on course to meet again on Merseyside in the first leg of the National Hunt Triple Crown, which progresses to the King George on Boxing Day and culminates at Cheltenham. “Native River is in really good form. The plan is to run at Haydock in the Betfair Chase, and we are really pleased with him,” said assistant trainer Joe Tizzard. “He has come back into the yard, and he actually looks bigger and stronger than he has ever looked before. “We will run him slightly more this year, because injury held us up until the second half of the season with him last time – so we could only really focus on the Gold Cup. “If he won the Betfair Chase at Haydock, there is the £1 million bonus, and that might tempt us to run him in the King George at Kempton. A spring campaign would be followed with another tilt at the Cheltenham Gold Cup as his target. “It was amazing to win the Gold Cup, and we are going to try and win another one! “This season, we can target four or five races – including maybe Aintree or Punchestown if he came out of Cheltenham well. “Native River didn’t win an Irish point-to-point or a bumper. Every time we have run him, he has improved and become a better horse – we don’t think he’s stopped improving. Last year’s Betfair winner Bristol De Mai has been installed as the 9-4 favourite. 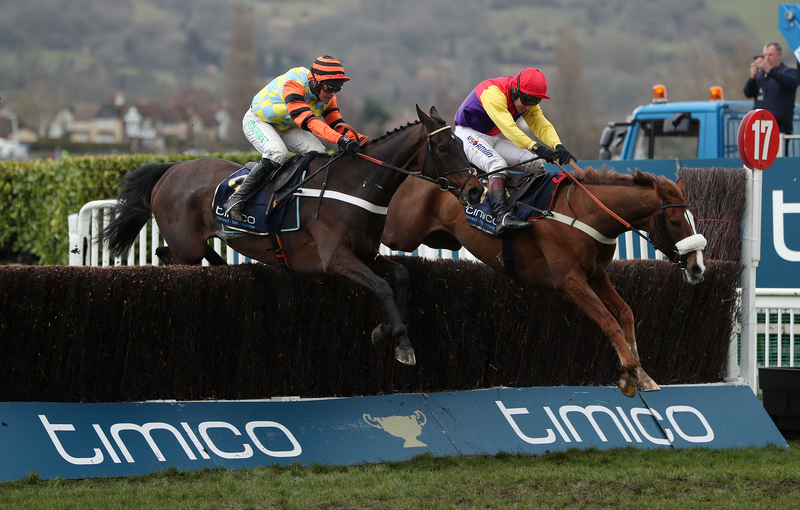 Nicky Henderson’s Might Bite won the King George last season but came up just short at Cheltenham behind Native River, and that pair are next in the betting at 5-2. Tizzard has also entered his 2016 King George winner Thistlecrack – who has a host of options, including the Ladbrokes Trophy and BetVictor Gold Cup. Paul Nicholls has entered Politologue, Black Corton and Clan Des Obeaux – with Harry Fry’s American and Ms Parfois in the mix too. Noel Meade’s Disko and the Gordon Elliott trio of Outlander, Don Poli and Shattered Love make up the Irish challenge. All four are owned by Gigginstown House Stud. David Pipe’s Un Temps Pour Tout completes the list.